One of Indonesia 's leading survey companies………. 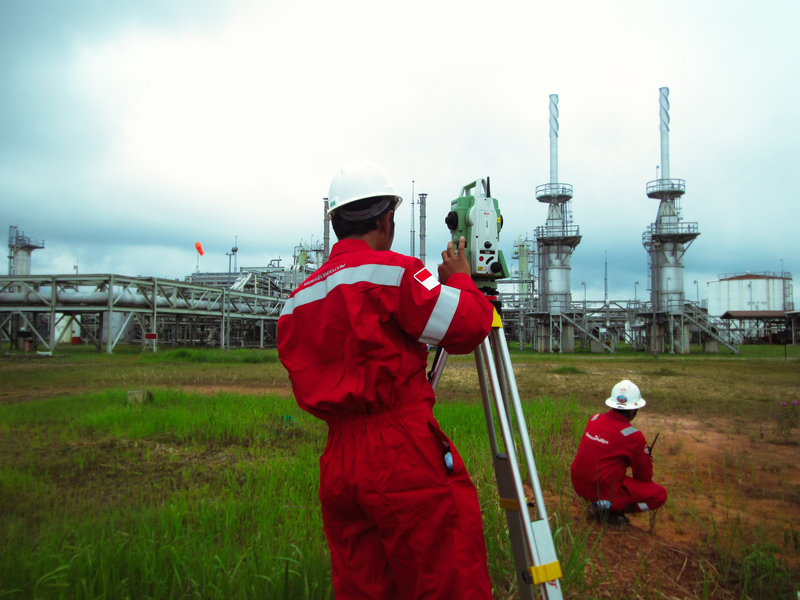 Survey teams available for work throughout Indonesia with latest Leica “state-of-the-art” equipment including DGPS, total stations (conventional laser, reflectorless and Automatic Target Recognition), electronic levels, underground services locator, hydrographic equipment for bathymetric survey, tide and current monitoring. Also have a laser scanner for power, petrochemical or industrial plant surveys & 3D modelling of plant and pipework for “as builts” and retrofit design of onshore & offshore structures, including offshore platforms. Our surveyors are trained, experienced professionals who are regularly audited & trained. All our equipment is regularly calibrated by independent institutions. Calibration certificates available. Survey data is obtained quickly & accurately then stored on board memory in our hardware for later processing & conversion into detailed 2D or 3D CAD drawings. Full range of survey services offered from start to finish including initial topographic mapping through to design, setting out & construction control, monitoring and “as builts”. Survey networks & geodetic ground control including processing, adjustments & mapping grid conversions. Reference datums, control points & bench marks. Topographic surveys – DGPS and total station. GPS surveys – single & dual frequency, real time positioning, static and kinematic “on-the-go”. Geodetic control. Satellite & air photograph ground control. Hydrographic surveys for sea or river bed contours. Tide monitoring using automatic tide gauges. Provision of fully equipped, experienced survey teams with CAD support and all equipment. Construction setting out, control of civil & structural engineering works. Earthworks & roads. Flood & water level monitoring. Laser scanning & 3D modelling including industrial plant and complex structures. Underground Service Location using specialised equipment with GPS.